Online reviews are SUPER important when it comes to how consumers view your business. The fact is that people spend a lot of time searching online and researching your business, products, or services before deciding to give you their hard earned cash. According to Digital Marketing expert Lance Moore from Uptick Marketing, there are 3 possible judgements a potential customer will make depending on your online reviews. Unfortunately you have no online reviews….so what does this tell a potential customer? From a branding perspective it warns them to be weary of your business. It is likely they will continue searching for businesses that actually have reviews so they can feel confident in their purchasing decision. Positive reviews enhance consumer “trust” in your offerings. The best way to earn reviews is to ask for them! Don’t be shy…most of the time people are happy to share their experiences on your business. Make a point to offer exceptional customer service and amazing products or services and positive reviews will flow! Obviously if you have negative reviews people are not going to want to hire you or purchase your products. It is safe to assume if you have negative reviews you are losing business. How do you combat negative reviews? Simple – Respond to them! Let people know that you truly do care and value your customers enough to rectify problems that arise. Remove the negative reviews by responding and making them right! Best case scenario! 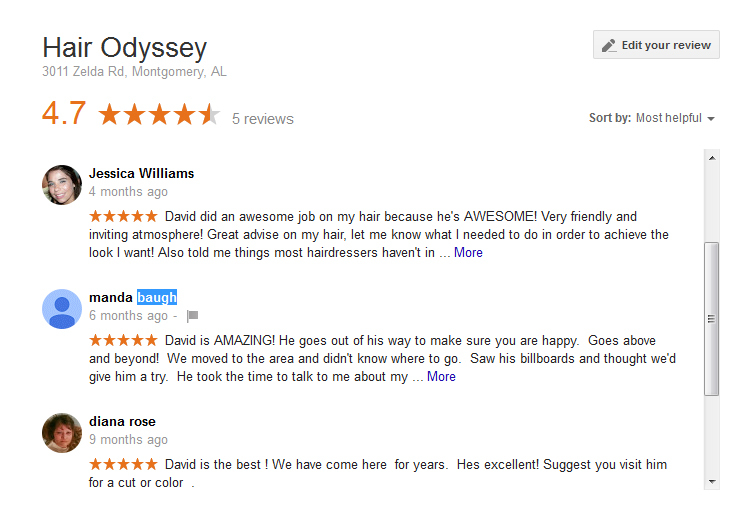 People will read the positive reviews and know they can trust your business! Reviews are becoming more and more important from an SEO standpoint. Continue to gain positive reviews and reap the benefits of an extraordinary online reputation. So what’s the moral of the story? Ask for the review…Be the best in your industry, provide unmatched products and services, and in turn you will gain positive online reviews! Let Social Scene Marketing put together a Digital Marketing strategy for your business! Contact us today! Be social and send a message for a free consultation!